Are other scientific genealogies reporting alternative facts? 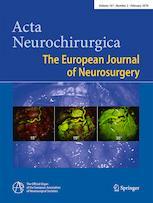 Neuroendoscopy—a minimally invasive alternative in the surgical management of traumatic intracerebral contusions? “Bucket” cerebrospinal fluid bulk flow—is it a fact or a fiction?